Insights from behavioral and experimental economics research can inform the design of evidence-based, cost-effective agri-environmental programs that mitigate environmental damages and promote the supply of environmental benefits from agricultural landscapes. To enhance future research on agri-environmental program design and to increase the speed at which credible scientific knowledge is accumulated, we highlight methodological challenges, identify important gaps in the existing literature, and make key recommendations for both researchers and those evaluating research. We first report on four key methodological challenges—underpowered designs, multiple hypothesis testing, interpretation issues, and choosing appropriate econometric methods—and suggest strategies to overcome these challenges. Specifically, we emphasize the need for more detailed planning during the experimental design stage, including power analyses and publishing a pre-analysis plan. Greater use of replication studies and meta-analyses will also help address these challenges and strengthen the quality of the evidence base. In the second part of this paper, we discuss how insights from behavioral and experimental economics can be applied to improve the design of agri-environmental programs. 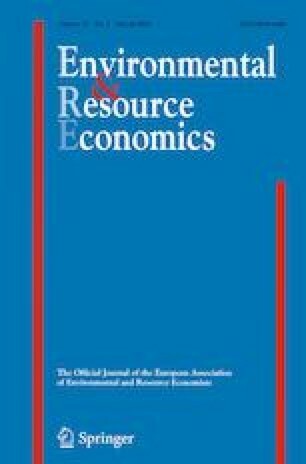 We summarize key insights using the MINDSPACE framework, which categorizes nine behavioral effects that influence decision-making (messenger, incentives, norms, defaults, salience, priming, affect, commitment, and ego), and we highlight recent research that tests these effects in agri-environmental contexts. We also propose a framework for prioritizing policy-relevant research in this domain. The authors acknowledge financial support from the USDA Economic Research Service (ERS), the Center for Behavioral and Experimental Agri-environmental Research (CBEAR), and conference funding from the USDA National Institute of Food and Agriculture through the Agriculture and Food Research Initiative Foundational Program (NIFA-AFRI Grant No. 12234087). The authors appreciate feedback and helpful comments from Simanti Banerjee, Tim Cason, Lata Gangadharan, Jordan Suter, Tim Wojan, attendees at the 2018 Brown Bag Lunch Series on Behavioral Science in Agri-environmental Program Design hosted by USDA ERS, and participants of the 2018 Appalachian Experimental and Environmental Economics Workshop and the 2017 Conference for Behavioral and Experimental Agri-environmental Research: Methodological Advancements and Applications to Policy (CBEAR-MAAP). Dr. Janusch contributed to this article in his personal capacity. The views expressed are his own and do not necessarily represent the views of the California Energy Commission.